Those DJS choosing to stay relatively old school by playing off the Pioneer Nexus series players have a bit of homework to do when it comes to prepping using Rekordbox. The point of most music management software is to ensure you can find the tracks you want as quickly as possible, so we’ve put together a bunch of tips that’ll help you get the best out of Rekordbox. A niftly little unknown feature, that is often wanted by DJs, is to re-arrange the tracks in the playlist, even though you can use the SORT functionality on the decks to re-arrange your playlist on the fly, this Rekordbox feature accessed by right-clicking on the playlist attributes give you the option to renumber your playlist. I find this quite helpful as a mixed in key user, wanting to have all my playlists arranged by key, or for that matter, being able to reflect any re-arrangement of the playlist. You can open up a second deck by clicking the Show 2 Players option indicated, leaving you with a quick cross-fader to boot as well. This can be handy when you need to figure out if the tracks in your playlist order work or need any arrangement, or even if you have any special mixing routines planned out that you need to try. It’s also a great tool to check how some tracks sound at different BPM’s. For that time when you find a match made in heaven for two tracks that seem to just work so well with each other, hit up the indicated button to set that as a desired match, this will now show up in your Related Track List window. The Related Tracks window is a very powerful feature, upon opening it’s customisation options, you have a lot of parameters to find tracks that match with your selection as sourced from the Current Track drop-down. You can search your entire collection or just individual playlists as well. The list ranges from the most perfect matches on top to the least at the bottom. However you will need a sizeable music collection for seeing good results, if you have limited tracks that don’t match keys or BPM, it might not be efficient. I’ve often found that most of my colleagues have never explored the Intelligent Playlists on Rekordbox simply because they think they’ve never had the need to, or just intimated by the sound of it. It is by far on the of the best features, it’s very similar to a Genius Playlist in iTunes, where in this playlist contains filtering criteria that pulls up tracks into it rather than actually contain tracks in it. This one featured here helps me find the tracks in the keys that I want. I’ve even got a folder full of intelligent playlist with various criteria to help find the track that I want as quickly as possible or show me my best options. This also takes away the need to constantly keep making fresh playlists for every gig. Further using the SORT feature on the player, you can use DJ Play Count and Date Added features to reorder this intelligent playlist with unplayed or more recent tracks showing up first. Although Rekordbox provides the option of using colours for deeper track categorisation, I find the Ratings a much quicker option, also because you can rate tracks via the players too by scrolling on to it, and holding the scroll knob pressed. Use them to state the energy level of the track within the playlist or to indicate the space or play-time during the set as early, middle, later, closing etc. You will be also able to use Ratings as a criteria within Intelligent Playlists. I often recommend DJs to record their sets as a self assessment and improvement tool, however Histories can come in handy when you want to re-record that set or find the best combinations that worked for the night within, and even convert your best performance into a future playlist. I often rename them in this format and archive it under a separate playlist folder : Date – Club/Gig Name. A galore of filtering options lie at your disposal to quickly filter through your collection. If you’ve further categorized your music using My Tag you will find a bunch of boolean search operations for enhanced searching. If you’re a Mixed In Key user that doesn’t want Rekordbox to overwrite your camelot keys with it’s system, then make sure you go to settings and disable this option under analysis. Always back-up your library, Rekordbox also gives you an option to include your music in the backup, which is very ideal for that odd time when your database just gets corrupted for no reason, if you’ve had one you know how frustrating it can be without a backup. If you prefer to see your files in the order that it was originally created on your computer as opposed to when you added it into rekordbox, you can enable the category Date Created and sort it by that parameter. It’s helpful to bring up the tracks you most recently downloaded first. Addition of a Date Created as a parameter for SORT list. 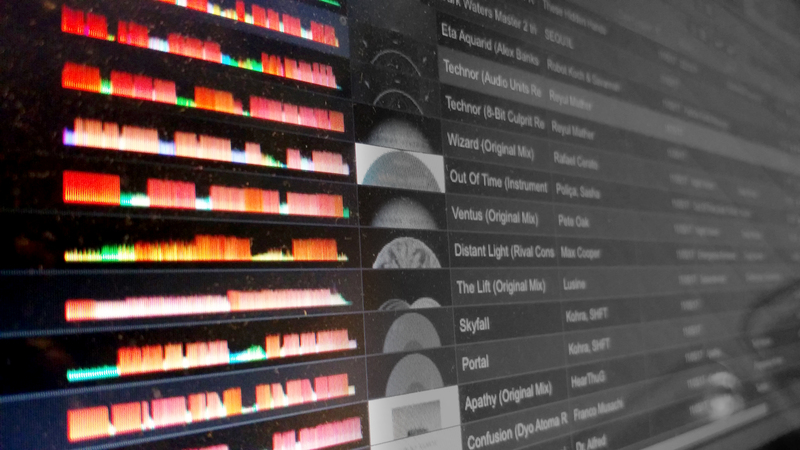 Let us know how you use Rekorbox and organise your music!